The MD-4520 is designed for easy integration into food production lines. Superior levels of metal detection sensitivity are attained using multi-frequency sensor engine technology. With the “Auto Learn” feature the MD-4520 metal detector is easy to set up and operate with a low cost of ownership. We carry other metal detector aperture widths and heights depending on your product size. General rule of thumb: Aperture should be 2” higher and 2” wider than the product going through the machine. E-mail us and we can send you a survey form to determine the best metal detector for your application. 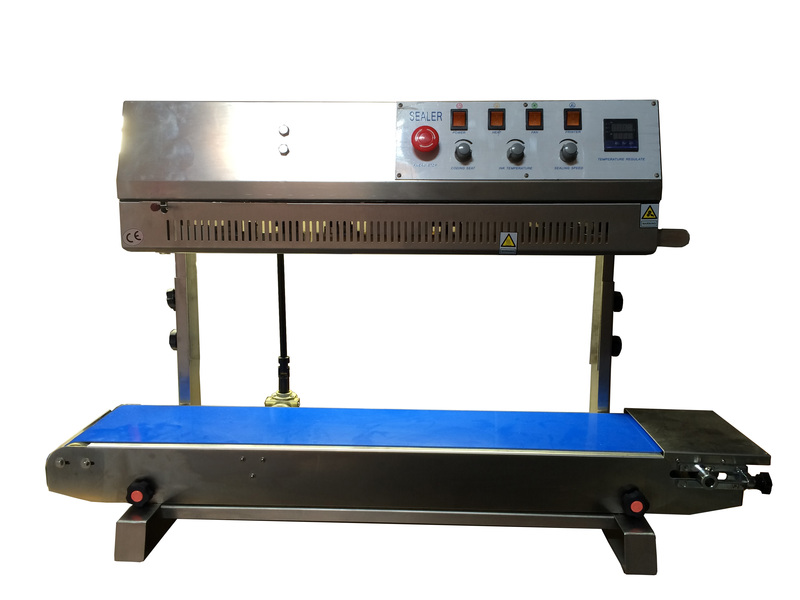 VV1600 Value Vac is an economical commercial retractable nozzle vacuum sealer. Lightweight, all-metal construction with a stainless steel nozzle ensures many years of quality performance. The Value Vac provides a sustained vacuum flow which increases production speed. 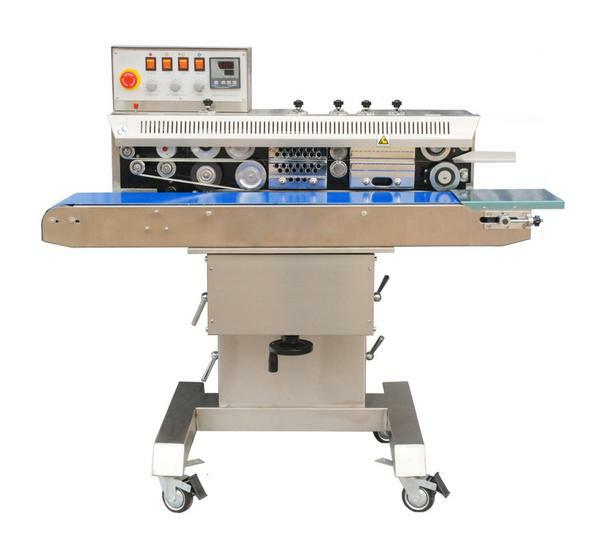 If you are looking for a no frills, entry level commercial vacuum sealer, the VV1600 Value Vac is what you are looking for! Our YC-03FD Air Pillow Machine is the ideal alternative to standard void fill. Impress customers with a clean, efficient and smart way to pack and protect your product. Our air pillows cost less than peanuts or foam to fill the same space. 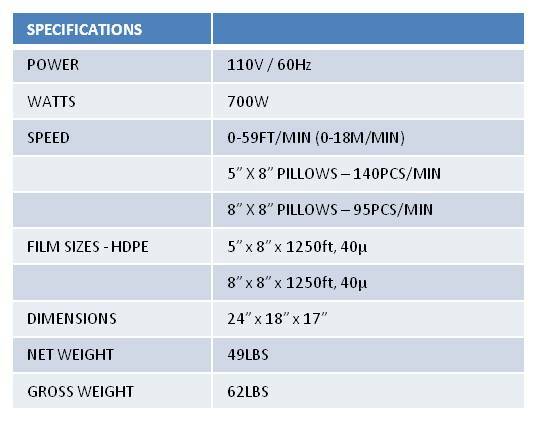 Air pillows provide superior protection compared to traditional shipping materials and also can be stored conveniently taking up a fraction of the space as peanuts and foam. YC-03FD is equipped to handle large volume of air pillows on demand filling up to 145 5” x 8” air pillows per minute. Machine is easy to operate. Buy and own this machine. No minimum film purchase required. 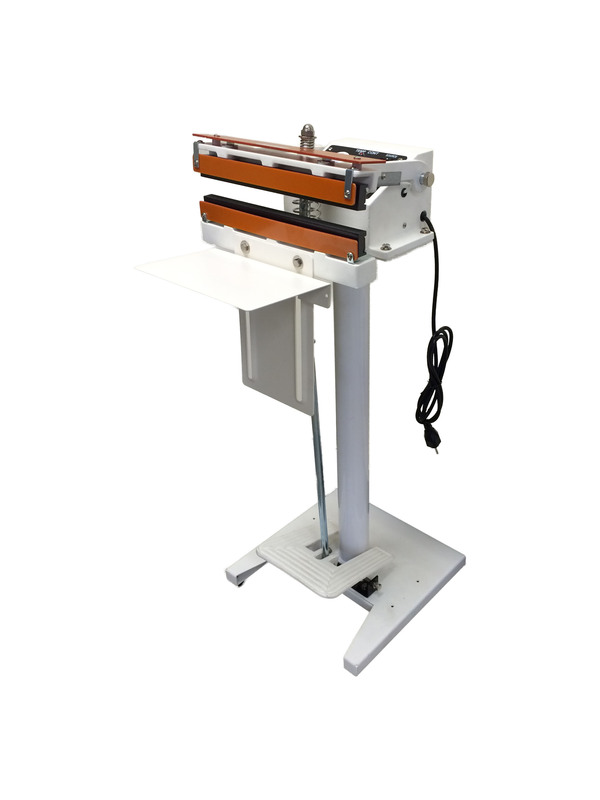 Our popular FRM-1010 band sealer now comes in a vertical configuration. FRM-1010II will still have the same great features as the FRM-1010. Contact your distributor for more information! This month, we are highlighting our ever popular FRM-1120C band sealer. The FRM-1120C is a free-standing unit equipped with a tilting head so liquids can also be sealed as well. Use this sealer to quickly and efficiently seal almost any type of thermoplastic material. We carry over 150 different sealers and we plan to highlight a product each month so in 13 years, we’ll go through all our sealers! The W-300DT is our newest addition to our popular W-Series line of sealers. 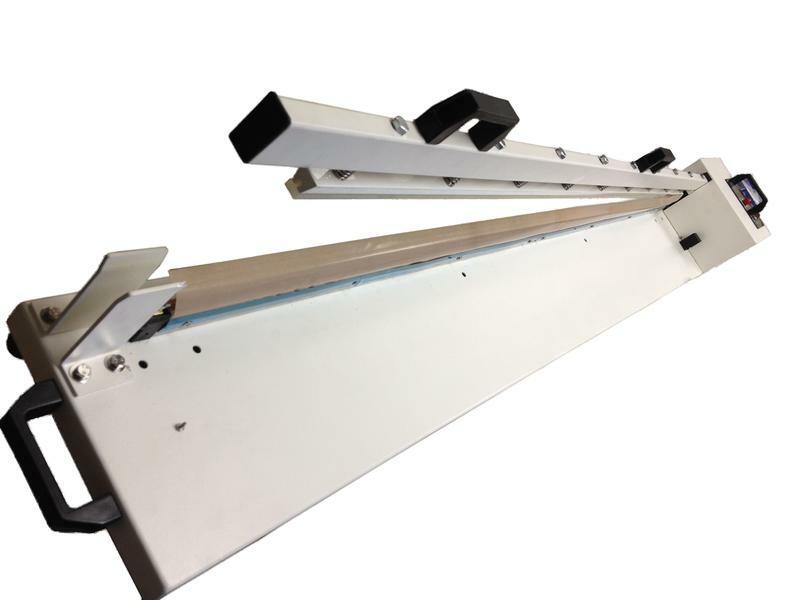 We now stock the WN-1500H which can seal material up to 59″ long. The sealer is part of our dependable W-Series long hand sealer line and offers the same great quality you come to expect from our W-Series.